Get ready to have the ‘Thyme’ of your life in this award winning ChiMar construction home in Seacrest Beach! Beautiful hardwood floors, granite counter tops, stainless steel appliances and heavy crown molding throughout. This three story, five-bedroom home includes 3 king beds, bunk room with twin over full bunk beds, a third floor loft with a queen bed and a twin pull out sofa, 5 full bathrooms and one half bath. Wonderful outdoor living on the balconies and fantastic grilling and dining on the back patio. 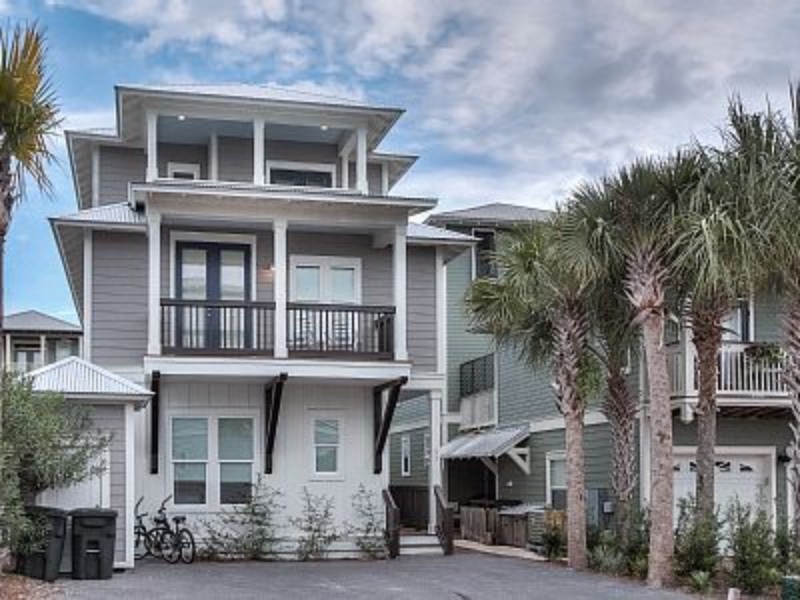 This great neighborhood is situated between Alys and Rosemary Beach and is a short tram ride or walk to the beautiful Gulf of Mexico. A fabulous 12,000 square foot waterfall pool is also one of the many amenities Seacrest Beach has to offer. Free shuttle service to beach!